I recently hosted a swap party with three of my friends (shout out to Jenny, Nthasi & Solo). I usually go through my clothes about twice a year to clear out anything I don’t wear anymore. This time, I was ruthless (thanks to Kendi of Kendi Everyday) and had strict conditions of things that can remain in my wardrobe. Anyways, in doing so, I also came across all of the accessories I have. I don’t seem to have an issue wearing all of the bangles, necklaces, earrings etc. 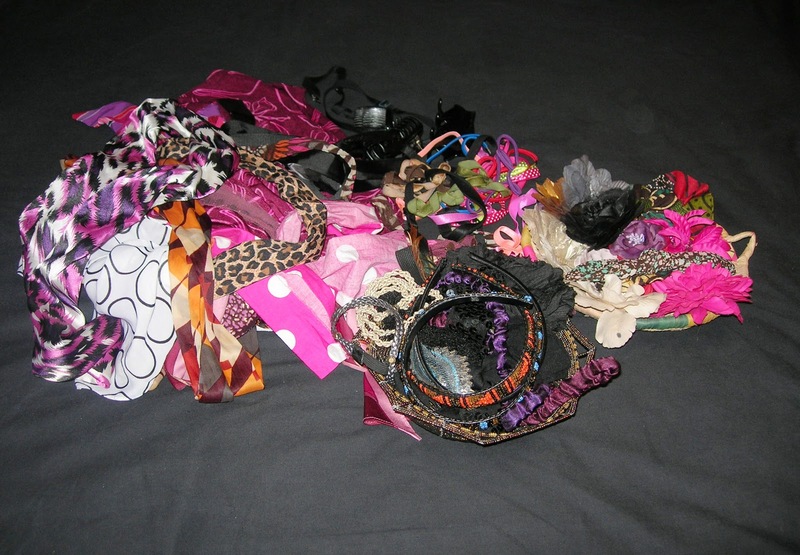 I have…but I have seemed to ignore a lot of my hair accessories. 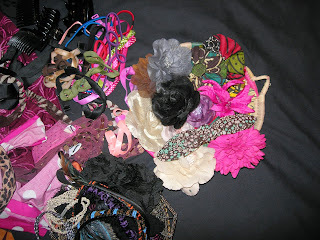 When I made the decision to go natural, I was so excited I went out and bought a whole bunch of hair clips, headbands and also began my obsession with hair flowers. 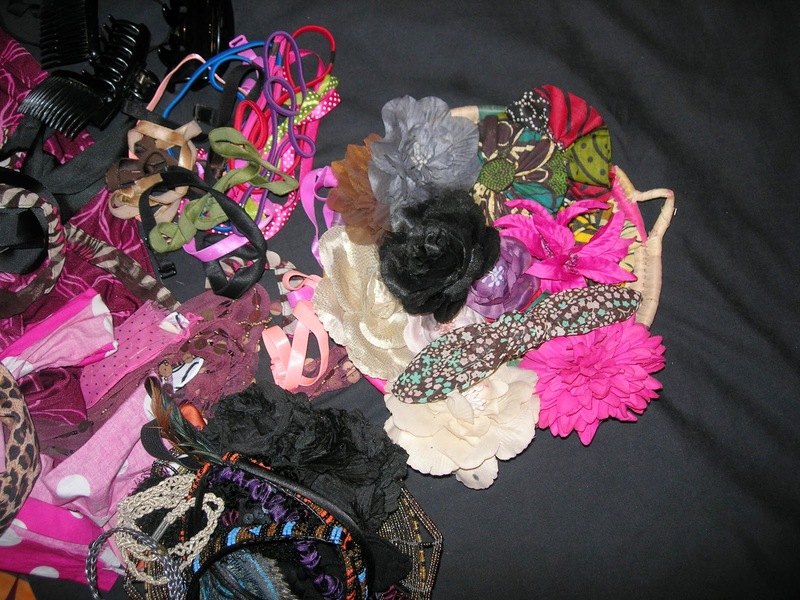 I never originally intended to get so many, but now my hair flowers have their own accessories basket. I knew that with short hair, I’d need some help with a little hair decor. But then when I chopped and tried many of them, my hair was too short to use them. 🙁 So, many of them were left to look pretty on my lil vanity table to be forgotten about or hardly worn by Fro & I yet being joined by more and more new items along the way. That’s 55 items, excluding the necessary black pins and clips. Oh no Aisha. But I love them all, what to do? So, being inspired again by the lovely Kendi, I decided to do a 30 for 30 remix, but the hair edition; 30 hair accessories over 30 days, minus was days. No repeats. This will be fun! And I thought I had a problem! Hahahahaha! Good luck. Hahaha! Love it! Good luck!